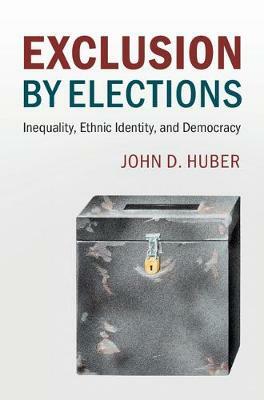 Exclusion by Elections develops a theory about the circumstances under which 'class identities' as opposed to 'ethnic identities' become salient in democratic politics, and links this theory to issues of inequality and the propensity of governments to address it. The book argues that in societies with even modest levels of ethnic diversity, inequality invites ethnic politics, and ethnic politics results in less redistribution than class politics. Thus, contrary to existing workhorse models in social science, where democracies are expected to respond to inequality by increasing redistribution, the argument here is that inequality interacts with ethnic diversity to discourage redistribution. As a result, inequality often becomes reinforced by inequality itself. The author explores the argument empirically by examining cross-national patterns of voting behaviour, redistribution and democratic transitions, and he discusses the argument's implications for identifying strategies that can be used to address rising inequality in the world today.